Is the Future of Retail Grocery Shopping Browser-based and Blockchain Powered? When we think retail and influencer marketing, for most shopping malls or Amazon come to mind, but let’s not forget our most common retail experience: grocery shopping. What if I told you the grocery store of the future could be browser-based and blockchain powered? Peter Fedchenkov explained, “The whole food industry?—?from production and distribution, to retail interfaces and shopping experience?—?is at a major turning point.” He cites millennials as a primary reason for this shift. What did millennials do now? Well, their empty refrigerators, I want it now mentality and fascination with eating out is certainly a start. The retail grocery space is interested in blockchain for a number of reasons. These include cost reduction, decentralized auditing, transparent supply chains and product traceability. Russian startup INS recently noted more than 500 manufacturers are prepared to stand behind the blockchain-based retail grocery platform – with companies like Unilever and Mars on board. 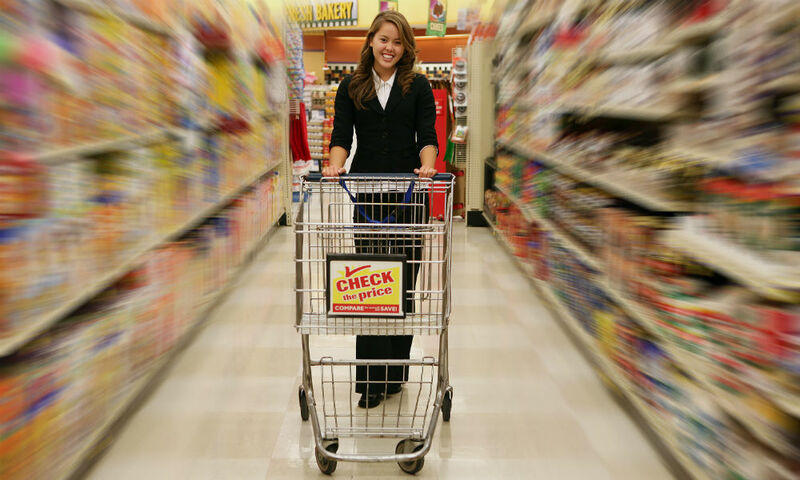 “The grocery industry in its current shape is inefficient and controlled by retailers. For example, in the U.K. there are over 7,000 manufacturers and 25 million households dependent on four key grocery retailers controlling 76 percent of the market. INS will adopt blockchain to cut the middleman – wholesalers and retail stores – to help consumers save up to 30 percent on grocery shopping,” notes an INS spokesperson. The platform empowers manufacturers with the ability to control pricing, gain customer feedback and deliver loyalty rewards to customers all via smart contracts. Aside from these benefits; by implementing blockchain for grocers, shoppers gain peace of mind when shopping for produce – online or offline. The whitepaper “Retail: Opening the Doors to Blockchain” points out that grocers with a specialty in GMO-free and organic solutions can legitimize credibility with blockchain technology in providing customers transparency into the farm to store shelf process. Online or offline, blockchain possesses potential we have yet to tap into. It will transform the way we conduct business, there is no question about that, but how far will this up-and-coming technology take us? As far as we let it.